I was amazed. Do you build sandcastles at the beach? wow, now that person has talent! I read it was 116 in Phoenix, Yikes ! you are always a few degrees hotter than Tucson. I haven't built a sandcastle. But that one is really amazing! Ummmm.....I do build sandcastles, but not like that! OMG - this is amazing!! 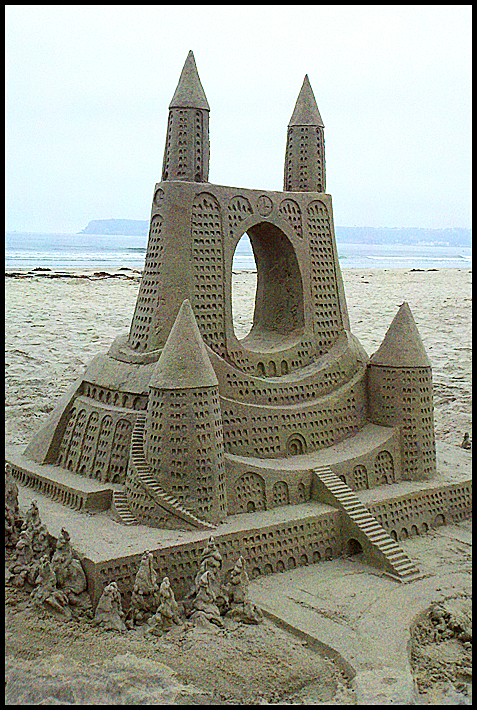 I can't imagine having the patience, although my mother used to build pretty incredible sand castles as well!! I would be totally amazed if he built it too, lol. I like those trees! Can't say I'm a sand castle builder. I'll just stick to real buildings!